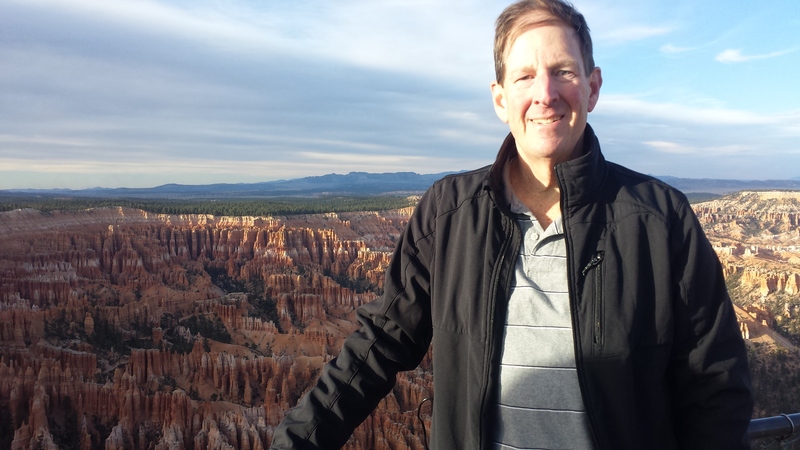 Hello, this is Dr. Rick, Several months ago my wife and I visited one of the most beautiful and unique places on earth: Bryce Canyon National Park in Southern Utah. My mother grew up just a few miles from there, so I have been there many times throughout my life. It’s fascinating to see what the wind and weather can do to wear down, erode and deteriorate the landscape in such a beautiful way. This didn’t happen overnight – it took thousands of years to get that way, and some of these rock formations in the picture — called hoodoos – continue to wear down and even collapse as they are exposed to those same elements. The same process happens in your body, although the results are not so beautiful. Ongoing physical stresses from posture, work, injuries and time, coupled with the mental stresses of life, result in joints becoming misaligned and stuck. Slowly, over a period of 10-20 years, the smooth joint surfaces wear down, the bony joints deteriorate and jagged edges form called bone spurs — not too different from the hoodoos of Bryce Canyon. This process is called osteoarthritis or degenerative joint disease, and results in your joints becoming less mobile, your muscles stiffer, and more importantly, your nerves become irritated and impinged, which has a negative effect on whole body and mind health. 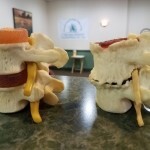 Model of normal spine and disc, compared to a degenerated disc with bone spurs. 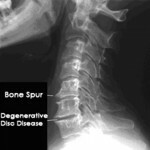 Degeneration as seen on a neck x-ray. 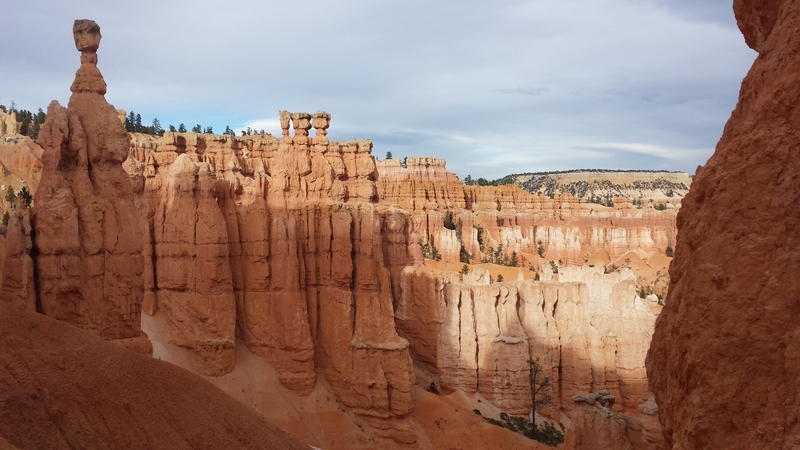 While I would never wish to “undo” Bryce Canyon, chiropractic care over a lifetime can help prevent your spine from developing painful “hoodoos” and poor health. The best time to take care of your spine was when you were young. The next best time is right now. Let us help you to move well and be healthy. And for your children? Start now, even from birth, maintaining normal spinal movement and healthy nerve function throughout their lives. “Vibrant Living for Every Stage of Life” is our vision for your health and mine. Let us be a part of your approach to living a great and vibrant life!